Cherries are back and it's time to make my Manhattans sing with another batch of brandied cherries. 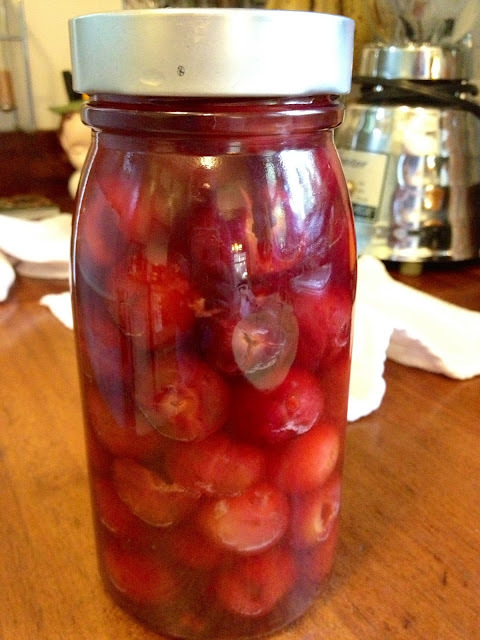 You can make some too. 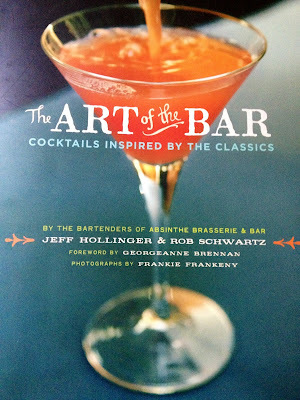 Full of delicious cocktail recipes, beautiful photography and bar knowledge, Art of the Bar is a great and useful coffee table book by the bartenders who helped put San Francisco's Absinthe on the cocktail map in addition to the culinary. 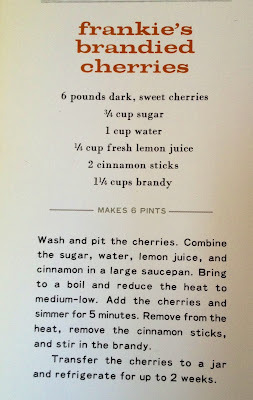 It also includes some great garnish suggestions including my favorite brandied cherry recipe as you'll see below. 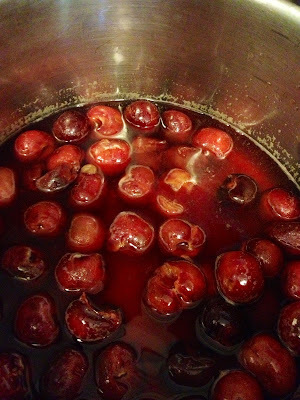 I dialed down the recipe for a pound of cherries. 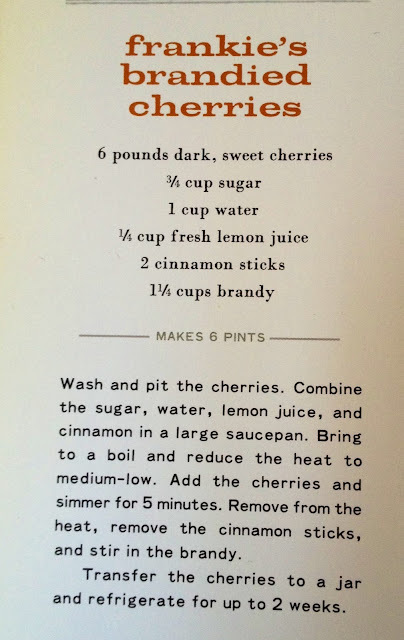 If you like this recipe you should get a copy of the book. There are some truly tasty drinks in its pages. Did I mention that you should buy this book? I've used apple brandy for this recipe and it turned out great. 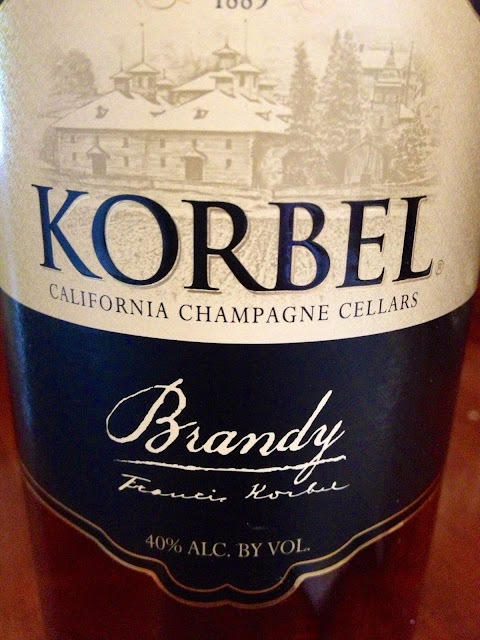 This time out I just went with the old Korbel. You could use something pricier, but I can't see any difference in flavor being worth the extra money. 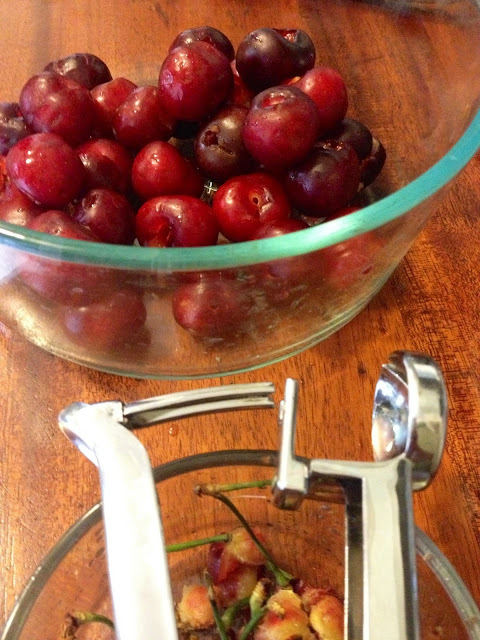 You are mixing it with water and cooking it, after all. 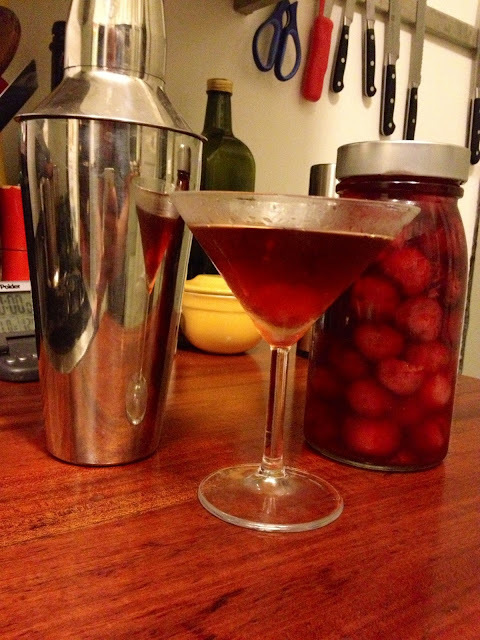 Watch for a new cocktail recipe this Friday! Tomorrow!